Our tasteful and inviting Lobby Lounge is the perfect spot for a casual meeting with colleagues or a relaxed conversation with a friend together with light bites and beverages throughout the day. 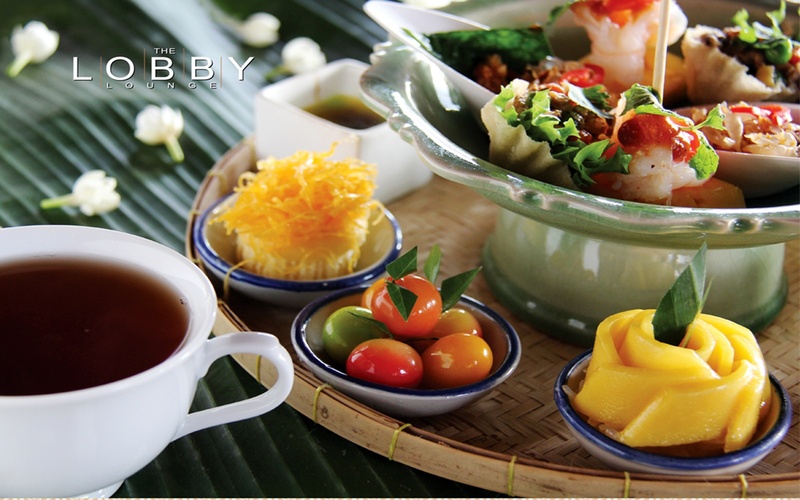 Distinct Thai tastes at The Lobby Lounge with a beautiful array Thai High Tea set at THB 750 nett per set. Relax and unwind with a wide range of fresh Thai traditional appetizers and desserts—such as the Foy Thong, Look Choop —and savory delicacies—such as Pomelo Salad, Kratong Tong Gai—at your fingertips. Enjoy with an unlimited choice of your favorite tea, coffee, traditional Thai tea and coffee, and Thai herbal juice.